Kangertech PANGU Tank is a new sub-ohm atomizer, which with easy top filling and adjustable juice flow control, also has a effective condensation reclamation system. It brings perfect vaping experience. 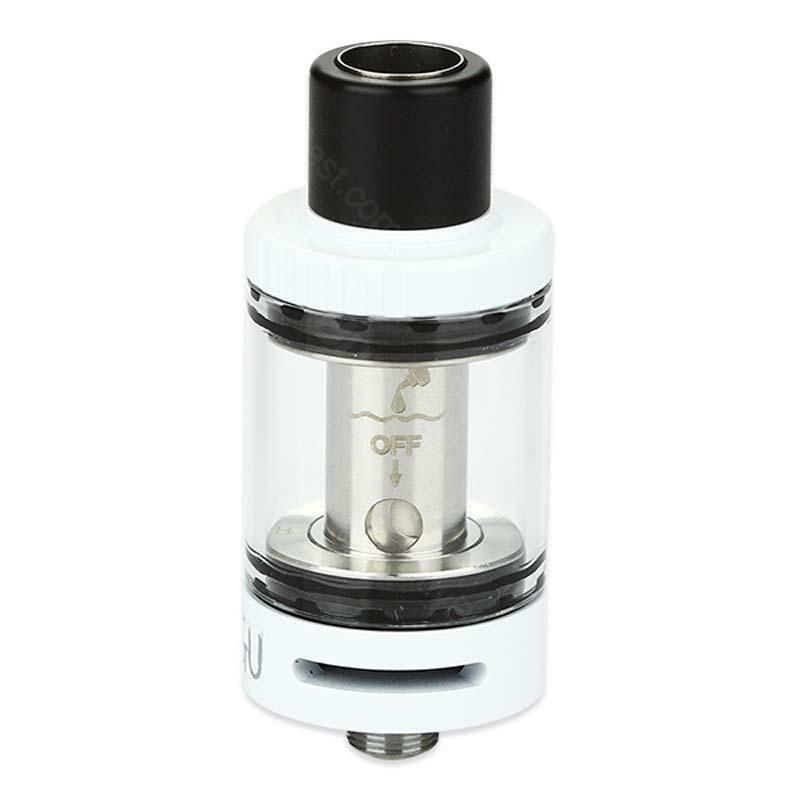 Kangertech PANGU Tank, it is a new sub-ohm atomizer that has 3.5ml capacity for e-liquid capacity. With easy top filling and adjustable juice flow control. The replaceable Pyrex glass tube can be replaced and extend. What’s more, with clean hands coil replacement system, your hand won’t be stain when assembling. In order to reduce condensation, it has an effective condensation reclamation system. Together with disposable PGOCC coil and Stainless steel construction, it makes you perfectly enjoyed this vaping device. • How to fill e-liquid? 4. Screw back the top cover and drip tip. 1. End users may close the e-juice holes when not using for a period or in transit. 2. Prime the coil for 30 seconds before vaping. • How to replace coil? d. Screw on the drip tip. This is my second Pangu tank, the first broke after taking a severe fall. It has an amazing range for vaping 25-50 Watts and emits tons of vape with great flavor. Pangu Tank is a good purchase, it looks the way it shows in the picture. Kangertech PANGU Tank fits my battery perfectly in diameter.It brings great flavor. Wir sind sehr begeistert! Die Rauchentwicklung des Kangertech ist top und nur die ersten paar Züge haben leicht nach Gummi/Plastik geschmeckt. Auch die mitgelieferten Liquids haben sehr angenehme Geschmecker.